Hello! This is Hikaru. Sorry We haven’t updated in so long guys! 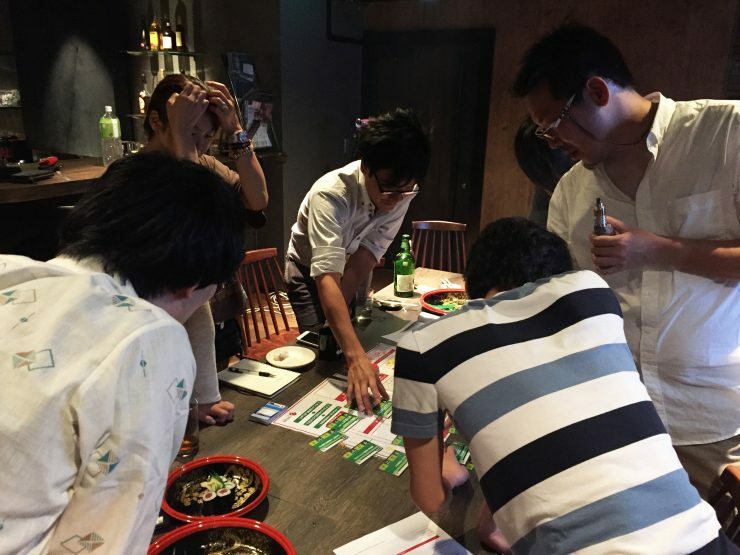 I’m going to report 17th Arcana Study Session that we had on November 15. We have this study session on a regular basis even though we haven’t updated in a while! Don’t forget us!! We started off this session with a presentation by Endo-kun, who’s becoming a common face in the Arcana Study. He talked about his project, Live Streaming with a THETA S using Cinder, which is a library he highly recommends. I also wrote about Cinder in this post before. Google Cardboard, which as refered to in the slide above, is a VR platform developed by Google. This time he’s using Hacosco left in the office that has similar functionality to Google Cardboard. It’s still a working progress. Let’s see what will happen next time! Now let’s go on to the main event of this session! We played a board game to learn incident response by Trend Micro that I had found on the internet the other day. 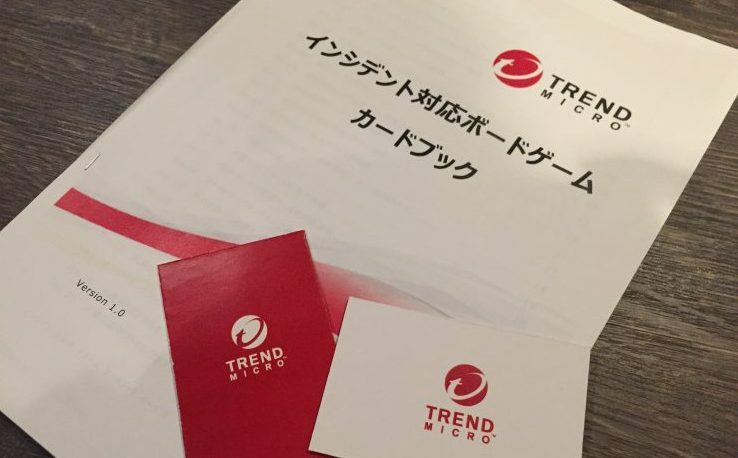 Trend micro, which is famous for Virus Buster, has started to offer this cool board game. Plus it’s free! Lovely!! The name of the game is “Targeted Attack Board Game“. Sounds thrilling, doesn’t it? Participants are to deal with a series of incidents as a team. First, go to the URL above and click the “download” button to download the zip file. You need to sign up for Trend Micro Passport before downloading. 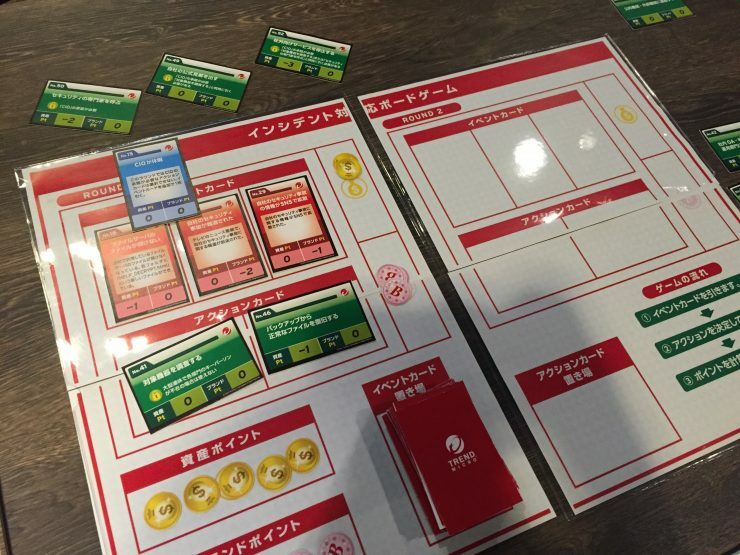 The zip file contains a set of board game goods, such as instructions, a rule book, and a PDF file of the game sheets. Next, print all the game sheets and cards! I recommend you print them on thick paper to make them look nicer. Don’t care if your boss have “what the hell are you doing” kind of look on you. The rules are not that difficult. Just reading through once would be enough. Don’t be too serious and just let the fun begin because it’s a board game! *Please note that I skipped some details. We set Studio Arcana as a targeted company. Basically you can set a imaginary company but this time we set the company where we all belong. And then we assign members to user roles. It’s like a role play debate. Members discuss problems from different points of view. It would be fun if you take the role that is totally different from your actual position! Having said that, we weren’t able to decide smoothly because some members worried if he/she can discuss from the role’s point of view that is totally different from their current position at work. Follow the game and draw an event card with an incident written on it. And share the incident with your team members and grasp how serious the incident is. After sharing the seriousness of the incident, discuss how to deal with it with your team members. You need to consider from your role’s perspective. For example, “filtering access.log for WordPress-specific characteristics” is way better than just “investigating logfile“. You may think it’s difficult to do, but just imagine you’re in one of the actual projects that your company currently have. It will help you be more specific. 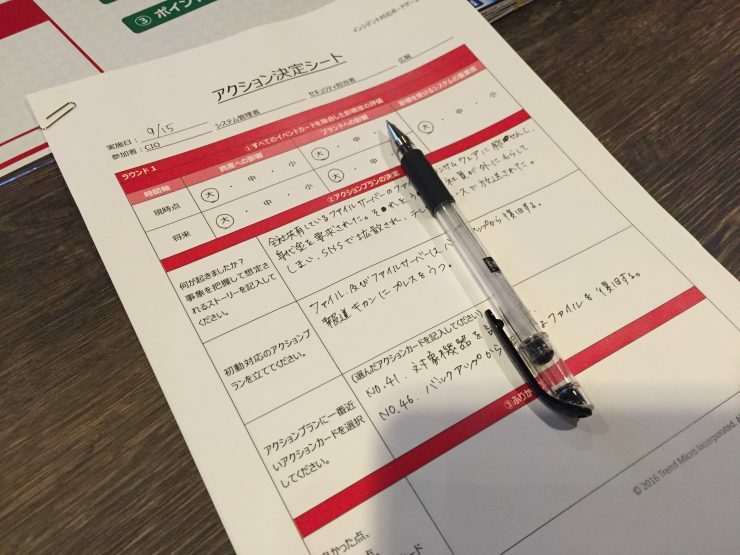 Once the members reach a conclusion, choose 2 Action Cards with measures how to deal with the incident written on them. You are banned to choose some of the cards depending on which event card you’ve chosen no matter how bad you want them. Rules can be so mean sometimes and I like that. hehe. That’s how the game goes on. We do this series of activities twice, 1st round and 2nd round like a football game. And at the end of the game we review the discussions we had and how we respond to the situation. As you can see, you neither win nor lose in this game. It’s about learning someting through simulating possible incidents. Until the session day I had been wondering if we can have fun with this game because it’s not about winning or losing. I hope this game raised awareness for possible threats in the team. 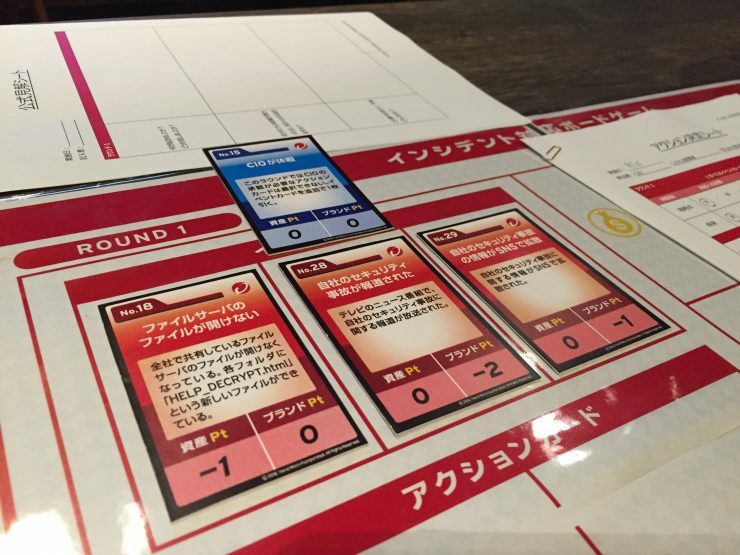 By the way, at the beginning of the first round, Kyonmaru CIO drew an event card that says “vacation for CIO” and it was the highlight of the game for me. Because it’s a big deal! Drawing a “vacation for CIO” card means the rest of the members will have much less choices because of the absense of the CIO who has the ultimate decision-making authority for the team. I’d been secretly wishing someone to draw this card and make the game crazy since I saw it when preparing. When she actually did it I said to myself YAASSS! She’s got it!! What do you think of this game? I’m sure it will raise awareness for possible incidents in your company. 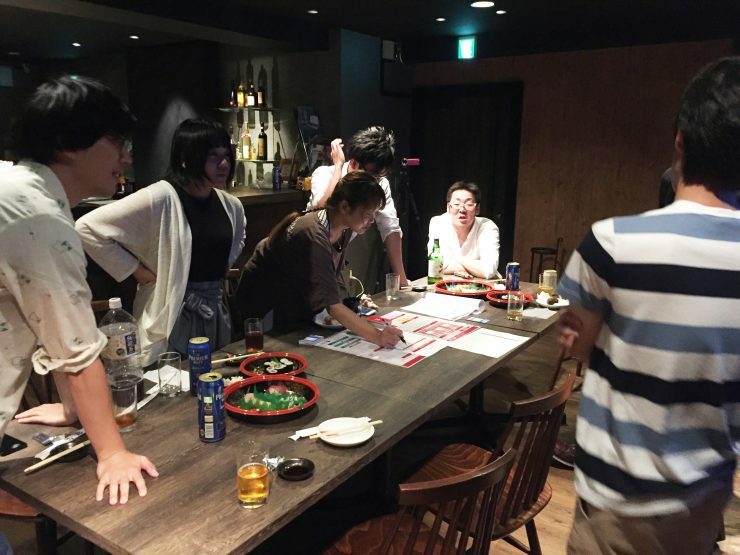 Why don’t you try this Targeted Attack Board Game by Trend Micro with your coworkers? And let me know how you enjoyed it! Bye~~! !